An independent report by 451 Research, ‘Multi-Cloud Fundamental to Financial Services Transformation’, found that financial services businesses are looking to emerging technologies at a higher rate than organisations in other sectors. The study, commissioned by Canonical, found that AI and machine learning (36%), containers (29%) and blockchain (24%) are highlighted as the industry’s top priorities. However, adopting emerging technologies often leads to increased complexity of IT environments who cite acute skills shortages in cloud platform expertise (46%), information security (41%) and machine learning / AI (37%). This combination of a demand for innovation and skill shortages will result in many businesses seeking out managed services. The report findings reveal that 60% of EMEA and North American financial services businesses expect multi-cloud to be the architecture of their IT environments in the next two years. Established financial services organisations are being driven to transform by new cloud-native competitors making it critical to develop new tools and services enabled by emerging technologies, such as AI and blockchain. As such, agility tops the list of cloud adoption drivers in the financial services industry – 47% cite time to market as a key incentive compared to 32% of businesses overall. Implementing a multi-cloud environment is a key part of financial services organisations’ overall IT strategy: 62% of the sector’s IT managers believe multi-cloud will allow them to improve application performance and availability demands. Such container driven portability is required for financial services businesses, where different workloads may need isolation if containing sensitive customer data or intellectual property. An increase in extensive regulations for the sector mean that 43% expect multi-cloud to help satisfy the granular compliance and security requirements. Finally, 41% anticipate that multi-cloud will help them to reduce the overall costs of cloud deployments through data center consolidation and more effective use of resources, which is important to financial services organisations as higher operational costs puts additional pressure on bottom lines. 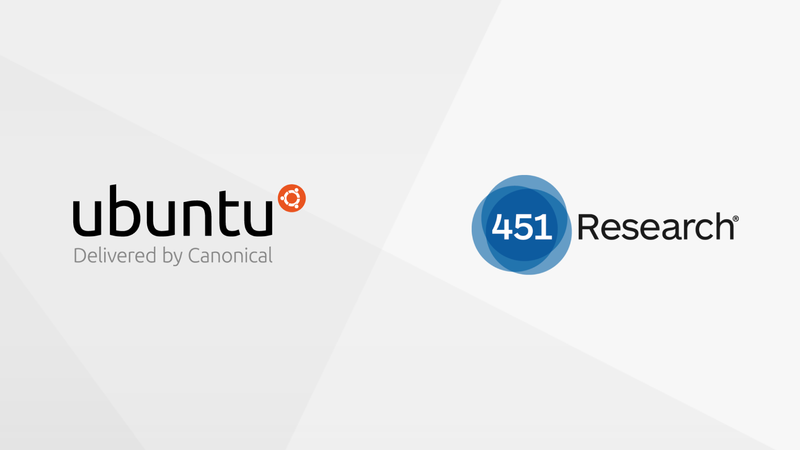 Financial institutions looking to move towards a multi-cloud environment and adopting emerging technologies can benefit from managed services such as Canonical’s managed Openstack and Kubernetes offering. The widespread use of Ubuntu Openstack in conjunction with a competitive public cloud represent a clear transition path to multi-cloud to provide superior economics, security and the compliant infrastructure that the financial industry demands. Benefitting from an automated yet flexible managed service enables developers to concentrate their time on new services rather than infrastructure maintenance. For further insight, please read the Black and White paper from 451 Research, ‘Multi-Cloud Fundamental to Financial Services Transformation’, which can be downloaded here.